Exploring and tasting new food can be a particularly exciting experience, especially if you class yourself as a ‘foodie’. America’s food scene offers a host of cuisines, perfect for all tastes. If a mini-break tasting fine-dining delicacies, local produce and traditional fare is something you’re looking for, then we’ve found six destinations, located on America’s west coast, that will fill foodies with delight. Located in the state of Washington, Seattle holds a vegetarian food festival; this year it takes place on 7th & 8th April. Perfect for avid vegetarians and those curious about removing meat from their diet, this informative and interesting festival features cooking demonstrations and offers over 500 kinds of free food samples to taste. It’s a family-friendly event, with a dedicated kids section where they can learn about healthy food while having fun. This vibrant city is famed as one of the world’s most vegan-friendly cities and offers delights such as a vegan barbeque and an all-vegan bakery creating delicious cakes, as well as savoury foods. Portland also holds its very own VegFest in October, with free food samples, cooking demos and kids activities. Nestled in a desert in southern California, Palm Springs offers a variety of delicacies and restaurants, including Workshop Kitchen + Bar, which boasts a seasonal California cuisine menu, which caters to every taste. You can also check out the local farmer’s markets for incredible seasonal produce to recreate award-winning dishes at home. Visit mrhudsonexplores.com for A-list advice on where to eat in Palm Springs. San Francisco has a celebrated and innovative food scene that has to be tasted to be believed. The city is home to a wealth of world-class Michelin-starred restaurants, offering a variety of cuisines, and is one of only four cities to have a Michelin guide. Not only does San Francisco boast 40 Michelin-starred restaurants, but it’s also home to two extraordinary establishments that both hold three stars. The cutting-edge cuisine is something all foodies keep returning for. 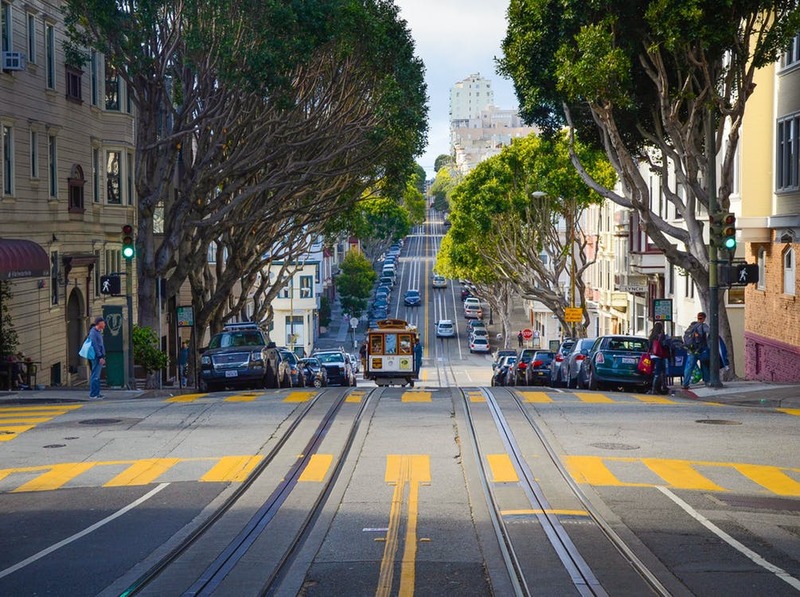 San Francisco also favors coffee, and you’ll find cozy cafes to sit, relax and enjoy a cup. While Napa Valley may be best known for its incredible wine country, it’s award-winning restaurants keep foodies returning again and again. There are a variety of menus to choose from, and in this celebrated wine country, they know the importance of pairing great wine with great food. There are also Michelin-starred establishments if you fancy fine dining while enjoying a glass of red or white. California’s capital may not the be the first destination that springs to mind, but this city is fast moving up the ranks. It now ranks as number 15 of the best cities in America for foodies, and you can find a host of gourmet restaurants and fine dining throughout the city. Those looking for a fun and authentic experience will love the traditional De Vere’s Irish Pub, where classics such as bangers and mash and granny’s shepherd’s pie are popular, as well as delicious whiskeys from around the world.